Friedreich’s Ataxia (FA)… there’s hope, but NOW is the time! I joined CrossFit EXP (crossfitexp.com) (one of the best decisions of my life BTW) about 8 months ago and have met some great people. One person has stood out for me, her name is Brenda Mullaney, and she’s my definition of a Supermom! She’s physically and mentally strong; she’s got a great positive and supportive personality, not to mention a perfect sense of humor. Little did I know, until about two months ago, what she was going through. Of her four children (twins Joey and Sean are 20, Kaela is 25, and Ryan is 26), Joey and Kaela (also amazingly awesome and strong if I do say so myself!) are affected with a rare, degenerative neuro-muscular disorder known as Friedreich’s Ataxia (FA). My already-positive opinion of Brenda sky-rocketed as I learned this. Friedreich’s ataxia (FA) is a debilitating, life-shortening (let’s change this! ), degenerative neuro-muscular disorder. About one in 50,000 people in the United States have Friedreich’s ataxia. Onset of symptoms can vary from childhood to adulthood. Childhood onset of FA is usually between the ages of 5 and 15 and tends to be associated with a more aggressive progression. The mental capabilities of people with Friedreich’s ataxia remain completely intact. FA is a genetic disorder. FA patients have gene mutations limiting the production of frataxin, which is an important protein in the mitochondria (the energy producing portion of a cell). FA is classified as an Orphan Disease because it affects less than 200,000 people in the U.S. It’s such a horrible disease and therefore low prevalence is a good thing! But . . . the bad thing is, pharmaceutical companies are typically ‘less motivated’ to develop treatments for diseases that only affect a small number of people. The generated sales are minimal compared to that of a cancer or heart disease that affects so many. But what about Kaela and Joey who are suffering on a daily basis? Not to mention the challenges faced by their parents/siblings/family? How can we help them? MOST IMPORTANTLY – WE CAN HELP RAISE AWARENESS. THIS WILL AUTOMATICALLY, IN-TURN, RAISE MONEY FOR RESEARCH FOR FA. Thankfully, Congress recognized the unmet medical needs and the lack of treatments/therapies for many rare diseases, which led to the passage of the Orphan Drug Act (ODA) in 1983. The ODA provides incentives for the development of Orphan drugs. See associated Regulations here: Code of Federal Regulations, Title 21 Food and Drugs, Part 316 Orphan Drugs. Shortly thereafter came the formation of the Office of Orphan Product Development (OOPD) within the FDA to help guide the Sponsor companies inspired to navigate through the complex regulatory pathway of an Orphan drug from discovery to market. As one would hope, the passing of the ODA and its incentives has led to a major increase in the market approval of new therapies for Orphan diseases. There is hope, much hope, for the Mullaney family as well as any others suffering from an Orphan Disease! Those are some good incentives! Now what? How do we do this? What are the next steps? In order to obtain the above incentives, the Sponsor company must apply for Orphan Drug Designation with the FDA, and if “approved,” the FDA will grant the Sponsor Orphan Drug Designation in writing. Specific instructions can be found here: How to apply for Orphan Drug Designation. Is it worth it? Is sure is. Take a few minutes to google Friedreich’s Ataxia and perhaps a story or two will catch your attention just like Kaela and Joey’s caught mine. Within minutes, I would bet my glass of wine (and anyone that knows me, that’s huge!!) that you will feel the “real” motivation towards finding treatments and cures for the many unmet medical needs. The incentives from the ODA are just icing on the cake. PLEASE SHARE THIS NEWSLETTER TO HELP ME RAISE AWARENESS FOR THIS DEVASTATING DISEASE. 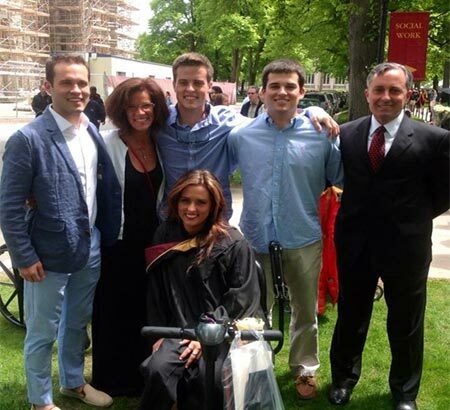 AND IF YOU ARE SO INCLINED, PLEASE CLICK THIS LINK TO DONATE TO THIS AMAZING MULLANEY FAMILY FOR THE RIDE ATAXIA ORLANDO THEY ARE DOING IN NOVEMBER. Motivation for your company’s goals is critical . . . the path to market for an Orphan Drug has many gray areas . . . there’s no easy answer, so one must have true commitment and passion for the suffering patients whose finger is in the pill vial or arm is at the tip of the syringe. Attempt to obtain Fast Track Designation. With this, the FDA will be more proactive and help facilitate the development and expedite the review of drugs intended for an unmet medical need. All in hopes to get the drug to the patient faster! Early and consistent communication with the FDA is critical before and during the development of your Orphan drug (or any drug for that matter! ).